When Ron Wanek started a furniture company in Arcadia, Wisconsin in 1970, his chances of becoming an industry giant looked remote, writes The Wall Street Journal (Mar. 6, 2015). Since then, most of the Carolina and Virginia manufacturers have been crushed by Asian competition. Wanek ’s Ashley Furniture Industries is now by far the biggest U.S.-based maker and retailer of furniture, with $4 billion in sales last year (twice as much as La-Z-Boy and Ethan Allen combined). Ashley has thrived by churning out low-price furniture, including sofas for as little as $399, at factories in the U.S. and Asia. While American rivals dithered as imports surged starting in the 1980s, Ashley figured out what could most efficiently be made in Asia and what should be kept at home. The company operates what is widely viewed as the industry’s most streamlined delivery system to rush products into its 460 stores. The company now has plants and distribution centers in four states. 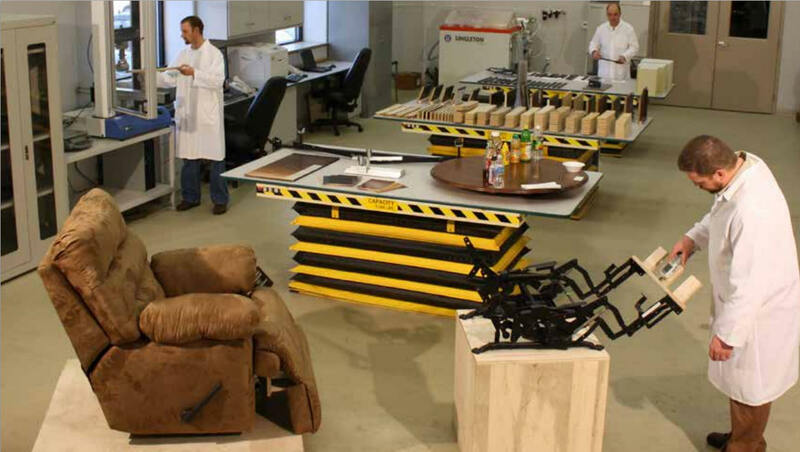 About 60% of the furniture the company sells in the U.S. is American-made. The rest comes mainly from Vietnam and China. Ashley has 13,000 employees in the U.S., up from 8,000 a decade ago. In the same period, total U.S. furniture-industry employment shrank by 1/3 to 384,000. Ashley has long focused on the logistics of furniture delivery. The company has its own fleet of 800 trucks, and deliveries to stores arrive in 2-3 days.That saves stores money because they can hold less inventory. Ashley imports 70,000 shipping containers of Asian furniture a year. Rather than pay to send containers back to Asia empty, it arranges shipments of grain and animal hides. Ashley’s obsession with costs is relentless. Some furniture makers offer customers hundreds of fabric choices for upholstery. Ashley offers 1 to 6, depending on the chair. That slashes inventory and speeds production.